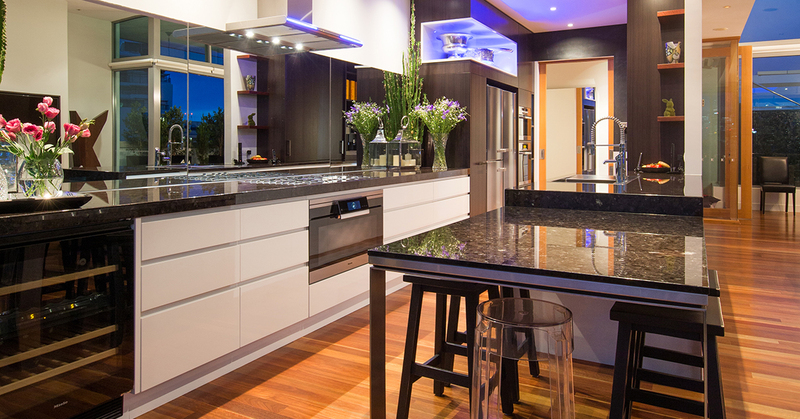 Let’s face it, kitchens are an important part of your home’s overall value and appeal. When renovating or installing a new kitchen, you might think you know what you like… but does that translate into something you and your family will be happy using every day or will still be enjoying in years to come? And are you choosing the option that will guarantee the highest profit when it comes time to sell your property or will people actually be taking the cost of a new kitchen off your asking price? Meet Jack from Woodstock Cabinet Makers. What Jack doesn’t know about the latest industry trends and technologies in design, materials, appliances and innovative systems isn’t worth knowing. 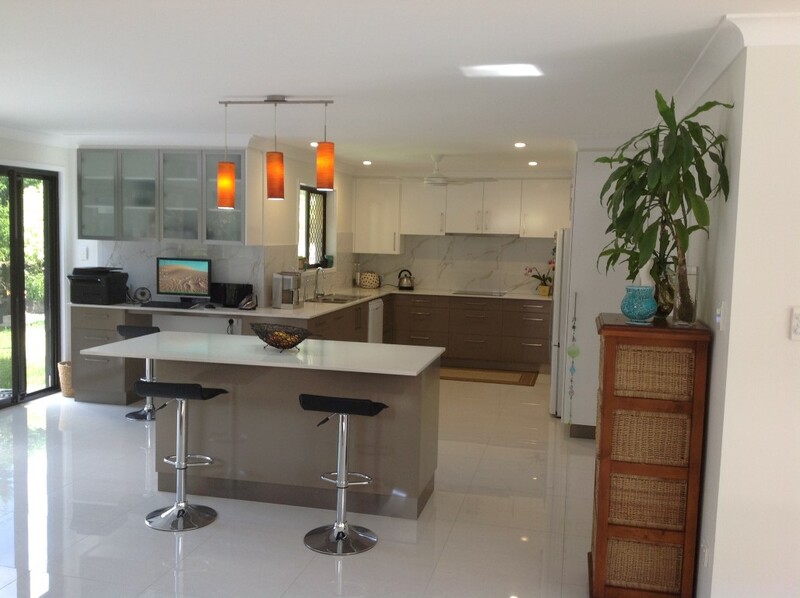 And while he may have a wealth of experience with many masterpiece kitchens and happy customers to show for it, there is one thing Jack really cares about – creating a kitchen you love that he knows others will too, especially when it comes time to put your property up for sale. Every kitchen is different and every little detail counts. Each individual project requires unique and careful consideration in order to achieve a successful outcome. But here are a few key points from Jack to consider that could make all the difference when it comes time to plan yours. We all love having loads of storage and it is very important to plan for your requirements from the very early design stages, but the impact of creating a feeling of spaciousness in your kitchen cannot be underestimated. 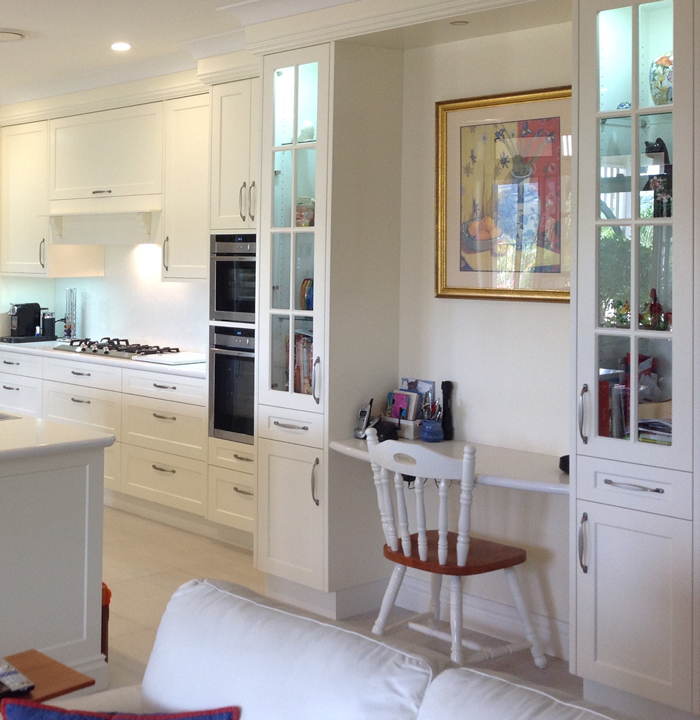 Removing upper cupboards and replacing with open shelves has become a popular trend in recent years, especially when renovating Queenslanders. It’s a clever option if you’re looking to open up the space of your kitchen and don’t have room to grow outwards. It also invites the opportunity to add personality, colour and shape with a few decorative items such as plants, collectable cookware and your favourite books and ornaments. Love the idea? 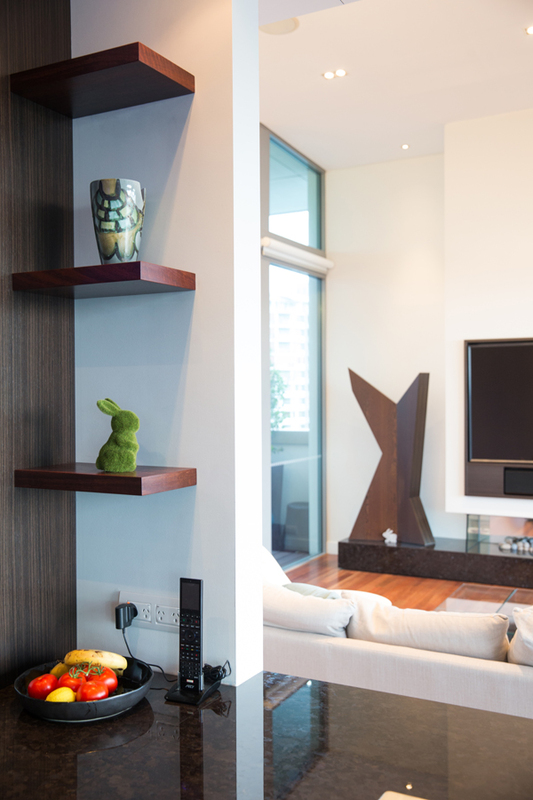 Then you may even consider removing the shelving altogether and installing a striking piece of artwork or extending your feature tiles all the way up to the ceiling. 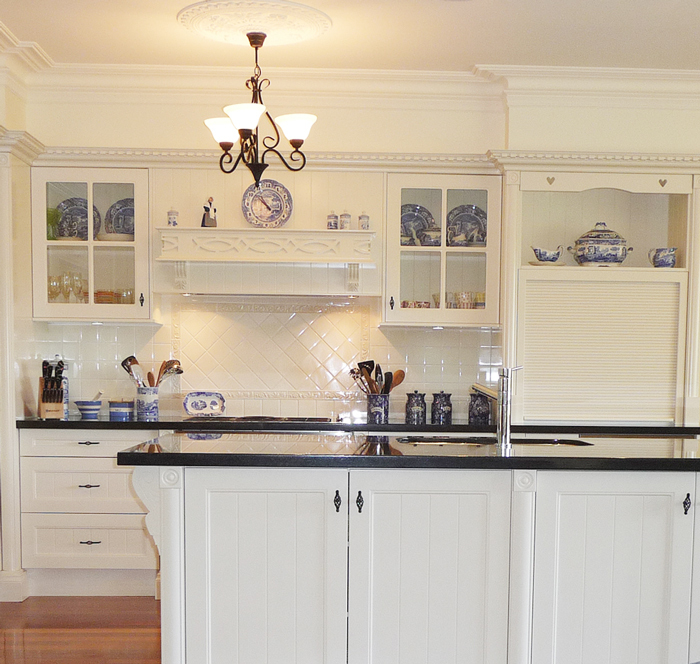 If using shelving adjacent to cabinetry, consider selecting the same finish as your cabinets for a cohesive look. 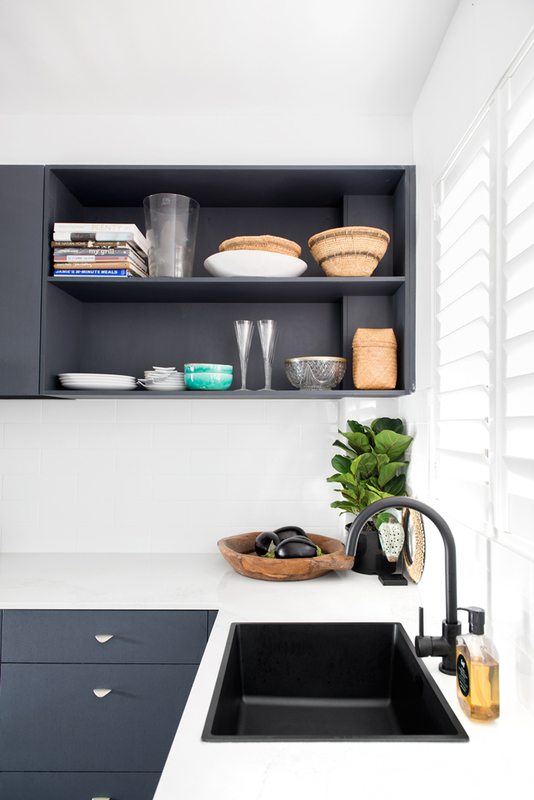 If you’re replacing upper cabinets completely with floating shelves, ideally you should use a colour that either matches your bench tops or one that is being used nearby in the home as a key accent. Another option that invites openness but allows you to retain maximum storage is to use glass doors on overhead cabinetry. Maybe you have some Wedgewood crockery you’d like to showcase but don’t want to constantly dust or clean off the sticky residue that can build up from close proximity to your cooktop? Then clear glass doors are the way to go. Add down-lights to the equation and you’ve created your own gallery. 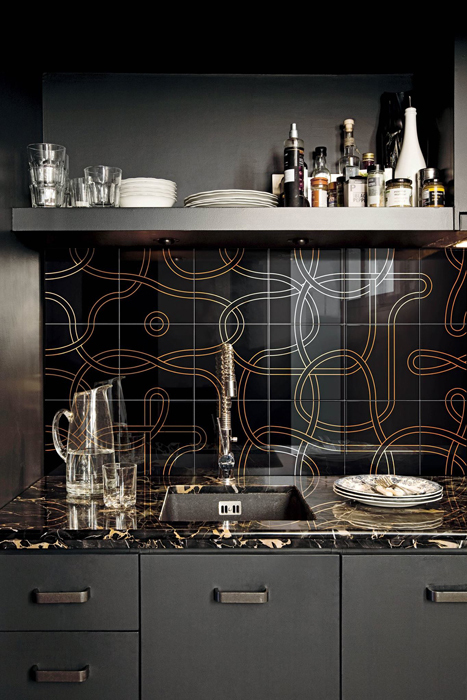 You can even build on this idea further by adding decorative fretwork over the glass, or even using frosted or other glass finishes in lieu of clear. 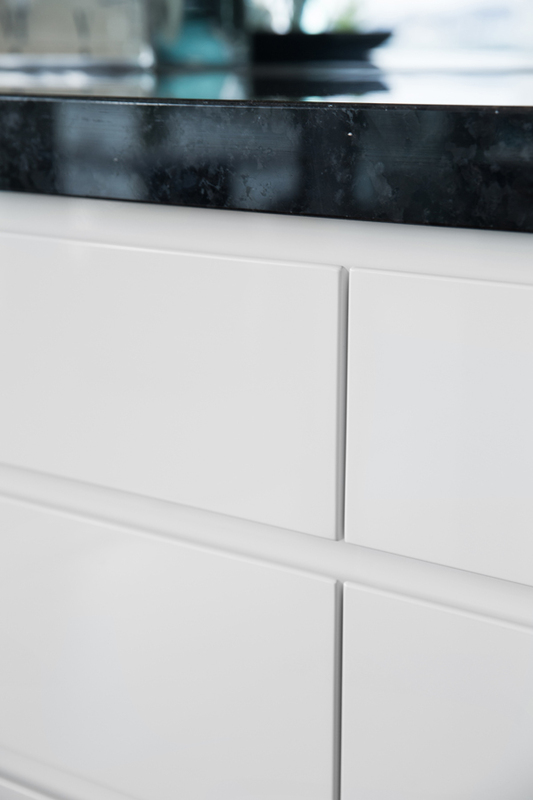 Vital as it is, the splashback is no longer just a simple wall protection. With stunning selections of natural stone, glass, mirrors, brassy designer ceramic art and feature tiles to choose from, you could potentially take your kitchen from ordinary to outstanding by cleverly highlighting this feature alone. 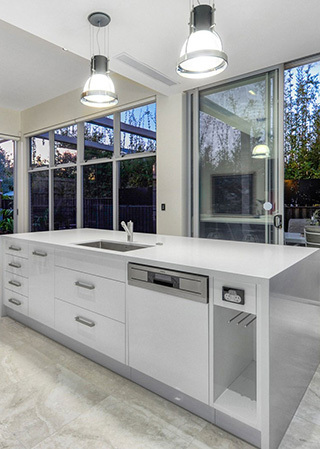 If the scope of your renovation allows, invite natural light into your kitchen with a splashback window. Bringing the view outside in will always open up your kitchen – particularly if there is something beautiful to enjoy while you cook like your children playing in the yard or a lush garden beyond. 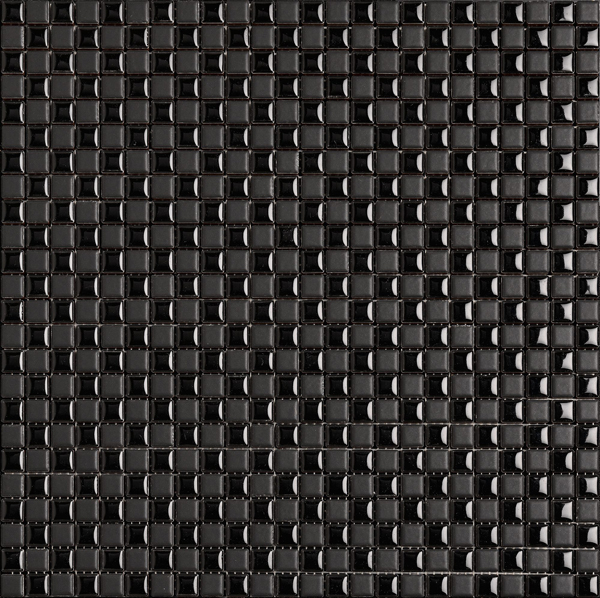 and almost limitless styles and materials for splashbacks. 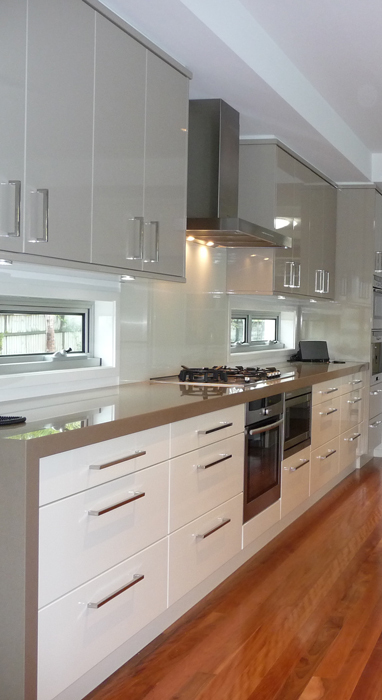 A mirrored splashback is a great way to enhance the perceived size of the space. 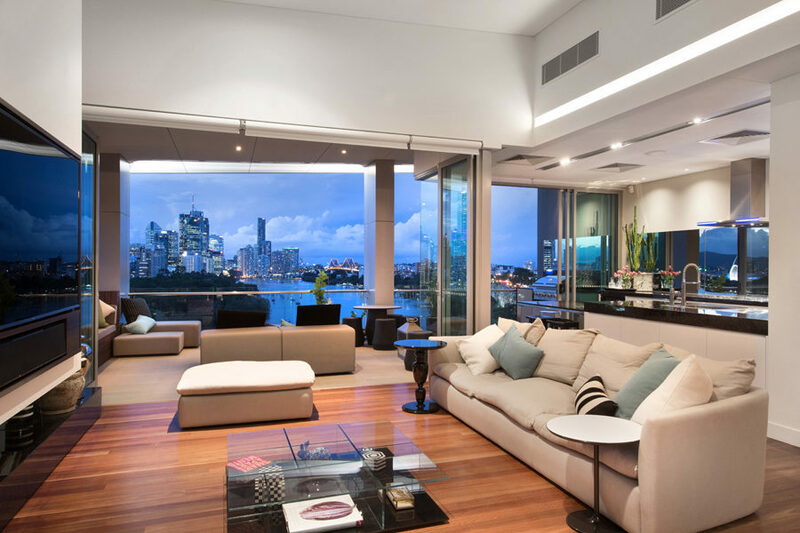 It also adds extra light, but its best asset is multiplying the view from across the room if you happen to be lucky enough to have a city view or another appealing vista outside. 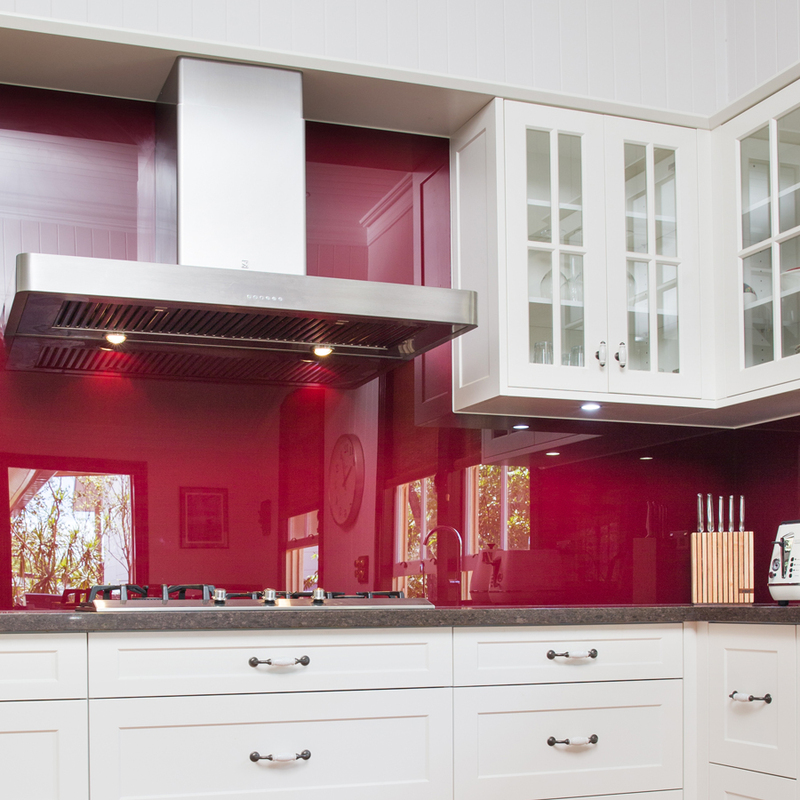 Add a pop of colour with a glass splashback. 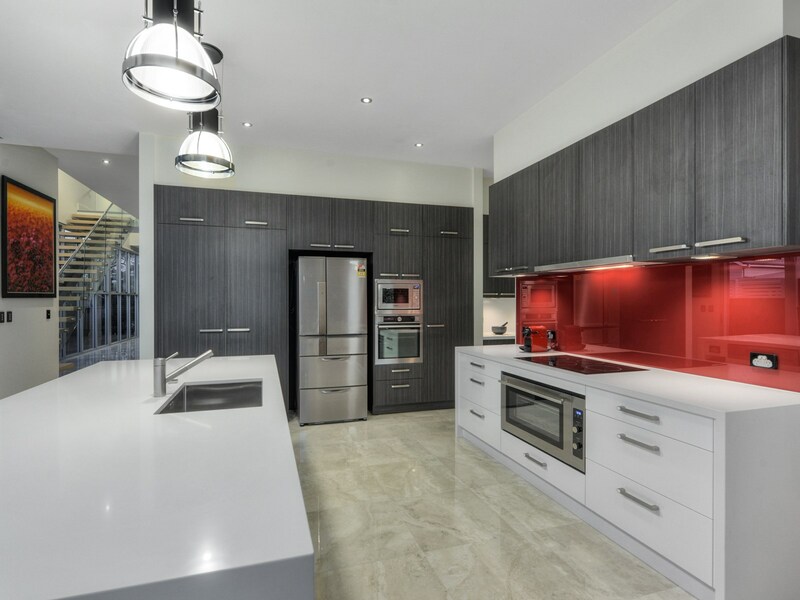 Glass brings a contemporary and streamlined element to a modern kitchen yet is equally at home in a traditional Queenslander as it can be colour matched to any colour you choose. 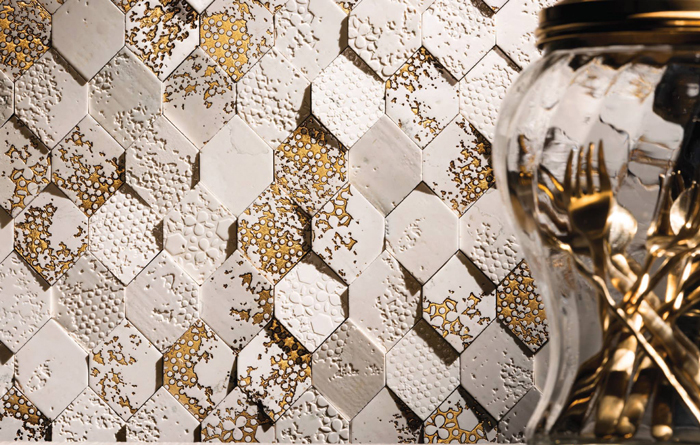 Or create a dramatic edgy feel by including designer, black and gold or mosaic ceramic feature tiles. Just keep in mind, if you choose tiny mosaic or textured tiles there are more joins and grout than larger format tiles resulting in extra cleaning and maintenance required to keep them looking gorgeous. If you have a sunroom off your kitchen that is getting used by the cat more than you, then it’s time to repurpose and integrate your kitchen and living areas to create a carefully planned multi-zoned space. One great way to create a multi-zone space is to include a study nook. What home chef wouldn’t want the perfect spot for keeping track of that recipe online, or a convenient place where they can still help the kids with their homework and oversee their online activity while preparing meals? Get rid of the old U shape and introduce a floating island which multi functions as a preparation bench, a breakfast bar or where space permits, increase the width to integrate a dishwasher or wine fridge. You can even include additional concealed storage space and seating for informal dining. 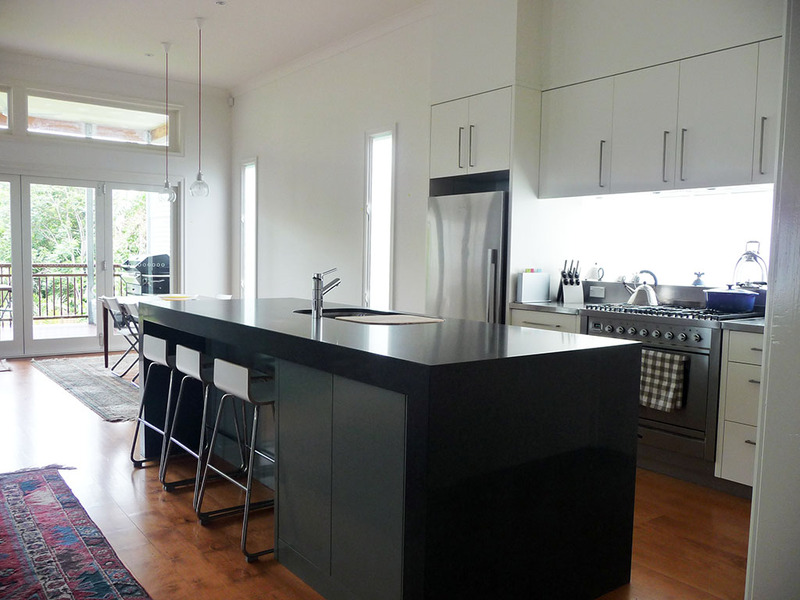 For smaller galley kitchens, extending the island benchtop to double as a bar is equally ideal for casual eating or cosy get togethers with friends. And the best part is that you can still keep one eye on dinner while you enjoy the party! Marble is still the ideal choice for the discerning homeowner who insists on opulence and grandeur, but Caesarstone Quartz is gaining popularity for its exceptional beauty, strength and durability. 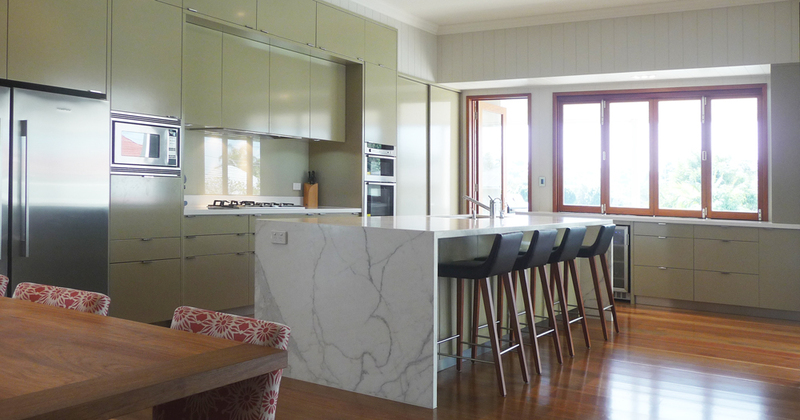 With the latest innovation in stone manufacturing, the affordability of stone bench tops gives those with small budgets an opportunity to elevate their kitchen to the next level. Manufactured quartz provides a sleek and modern aesthetic with an impressive array of new on trend colours and finishes available. By using a thinner edge stone for the workstation or butlers pantry, you have more in the budget to make that island bench a defining central point. Think… waterfall ends, Euro style fittings, integrated appliances, high end luxury appeal. There’s a whole world of possibilities when it comes to colour palette and finishes for your cabinetry doors and drawers such as paint, glossy lacquer, melamine, timber veneer, and many more. But it’s important that you choose a finish that compliments your lifestyle since not all finishes endure equally over time or command the same level of maintenance. It is important to discuss the pros and cons of different materials prior to selection so you can ensure you enjoy the performance as well as the look of your kitchen finish. For example high gloss finishes like lacquer and stainless steel are stunning when used well, but will obviously show fingerprints and scratches and require more cleaning than matt surfaces. So using these at low levels, especially for busy families with children is not ideal. Alternatively matt finish timber veneer is a great cabinetry option that would be durable and forgiving in this high traffic environment. Once you have found suitable finishes, why not mix things up? Many materials actually look better when combined such as wood, lacquer and paint. Even in a minimalist interior you can mix up the palette with bright gloss white cabinets in combination with darker veneer charcoal. 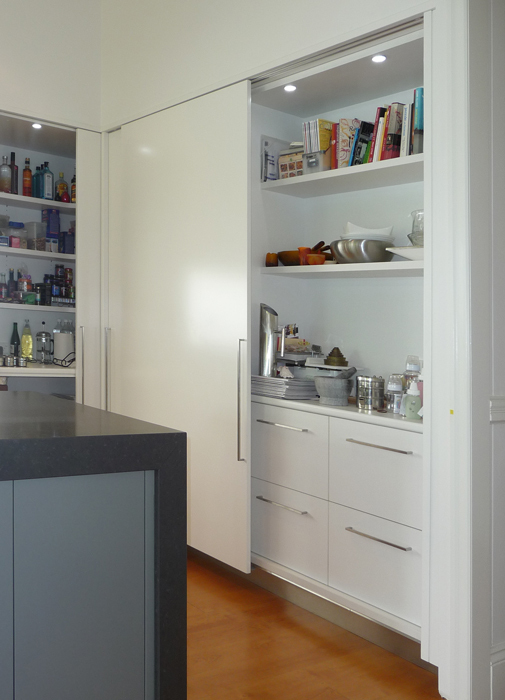 A minimalist and super sleek look can be achieved with handleless cabinetry. 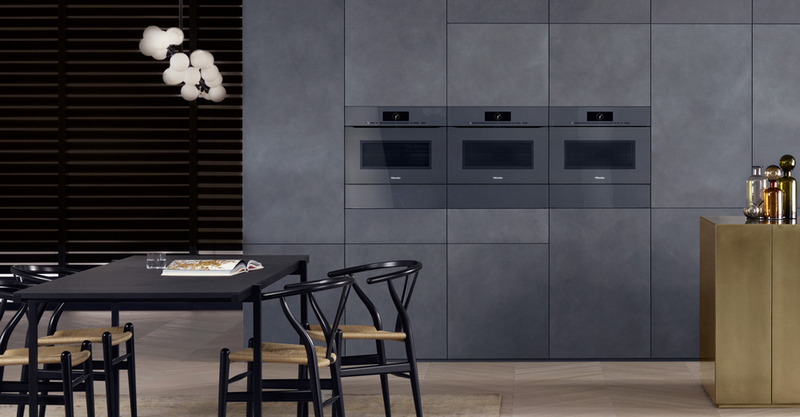 Introduce the latest Miele appliances series, ‘Artline’, and you can create an entirely linear, handleless kitchen with timeless appeal. That doesn’t mean handles are not in vogue. Brass ornate, vintage birds nest or cup handles are perfect for updating a Queenslander or Hampton style kitchen. For contemporary kitchens you can try oversized brushed stainless steel or minimal lip pull handles for a discreet appearance to enhance joinery finishes and designs. Other elements such as flooring, possible relocation of appliances, lighting, window treatments, fixtures and fittings, are all integral to the overall finish. These should ideally be considered from the very beginning of the project to avoid additional cost and potential time delays. While we may all have and use kitchens, actually designing a kitchen successfully from scratch can reveal just how much is involved. It also exposes how much is at risk financially if you get it wrong, need to redo some or all of the project, or even worse, costs time and money during your property’s resale. So talk to Jack and get your kitchen right the first time. You can reach him easily via the contacts page and you’ll be impressed with the level of care and detail he gives to your project….. And even more impressed with the results! « Luxury designer kitchen steals spotlight from spectacular city views!